Every web server on the Internet has a dedicated IP address by which others can refer to it. 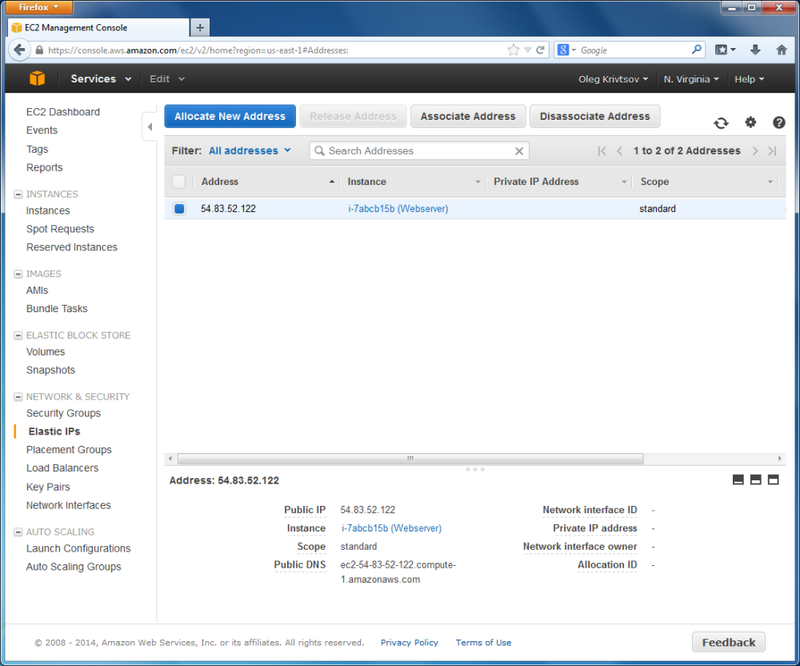 Next, you need to assign an IP address to the EC2 instance you have just created. To do this, click the Elastic IPs link in the side bar menu (under NETWORK & SECURITY section). On the page that appears, click Allocate New Address button. In the appeared window, click the Allocate button. The new IP address is now displayed in the list of Elastic IPs. You must immediately assign the created IP address to your instance. To do this, click the check box to the left of your IP address and click the Associate Address button above the IP address list. In the window that appears, select the instance name and click the Yes, Associate button.